Who's afraid of the Big Bad Wolf? With this game from Tactic that's kind of the basic premise. 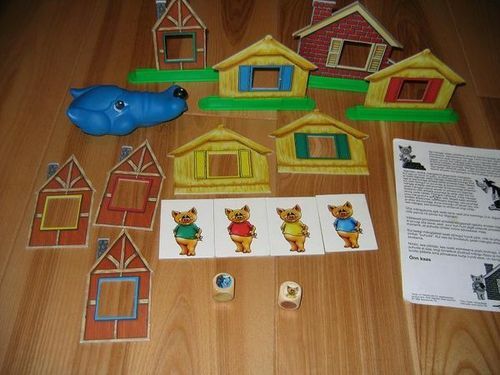 There is a plastic wolf that huffs and puffs and you have to be the first to get the brick house built in order for you to win. 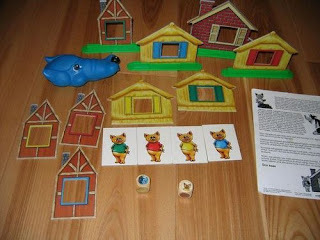 For 2+ kids aged 4+, players race to build the houses in the order from the fairy tale. If you roll a wolf on the die, you get to try to blow down the house of one of your opponents. The whole game takes about 15-20 minutes. Overall, not a bad game for $15 at Walmart. Not available at Amazon now, but you can read the reviews there. The kids understand the basic premise without really needing the rules. The game does combine skill and a dash of luck. 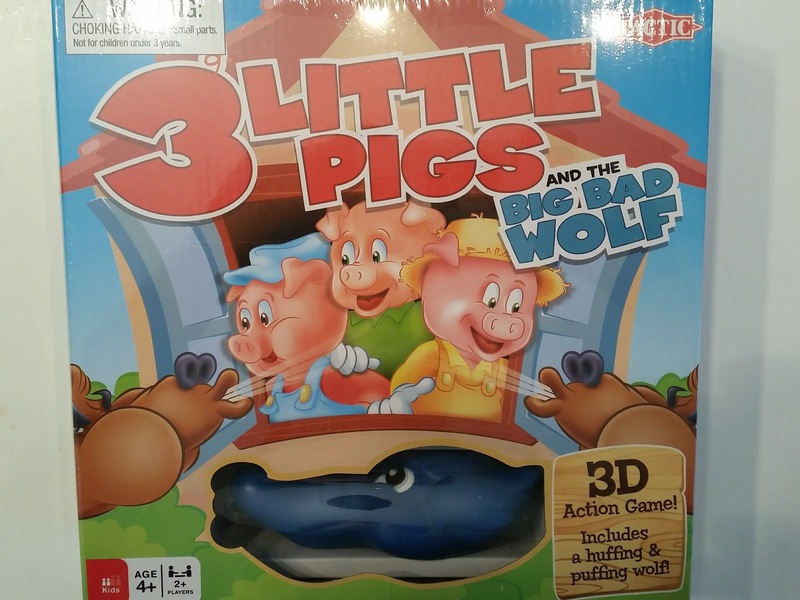 Kids will love the soft and squeezable Big, Bad Wolf that actually huffs and puffs the pig's houses down! Sounds like a fun game to play with little kids and not a bad price. Cute. I never go to Walmart, though. It's the whole "evil and harmful" thing.